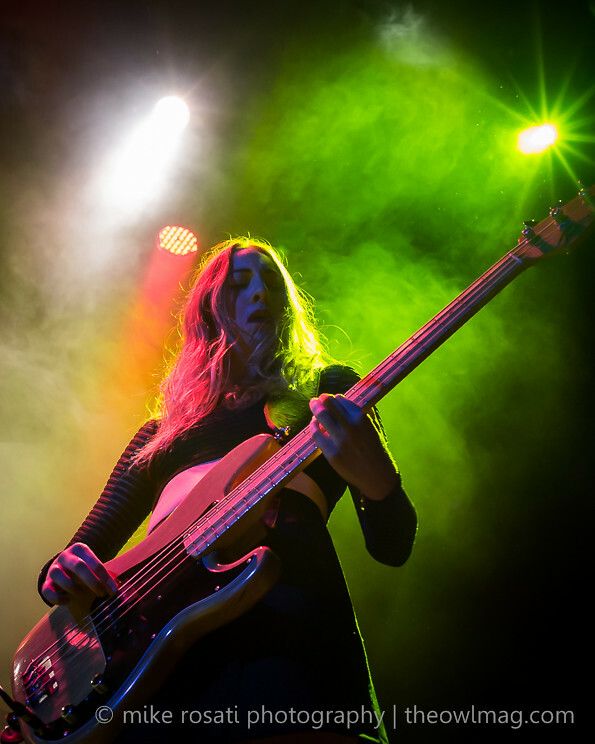 After spending the last three weeks in their native San Fernando Valley, the Haim sisters Este, Danielle, and Alana began, what will be a long North American and European tour, in San Francisco on the “best coast” as Este emphatically proclaimed to the sold out Fillmore crowd Wednesday night. The band’s debut album Days Are Gone is often too easily dismissed as girl-pop at first blush because of its ear catching melodies, mantra-like empowering lyrics, and 90s pop nostalgia. 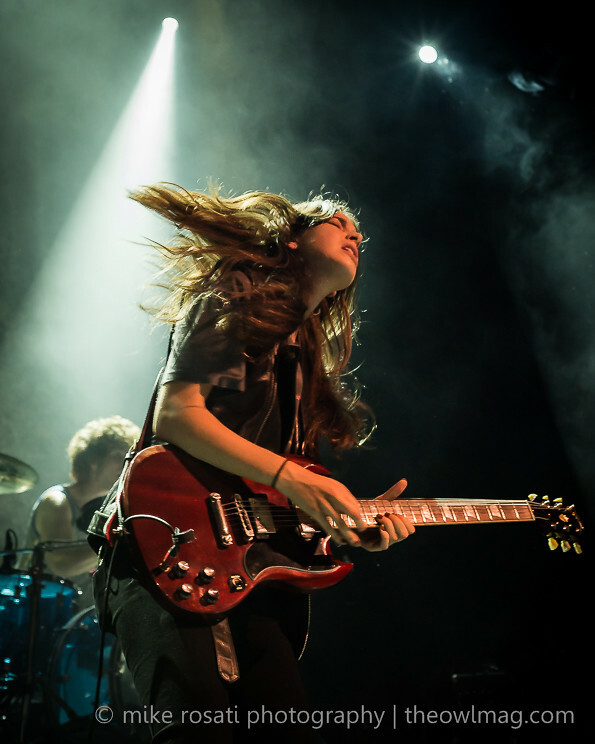 However, there is a significant underestimation of Haim’s ferocity as a band; a misconception that is quickly shattered upon seeing them perform live. The packed house immediately began singing along to set opener “Falling” as Danielle’s tightly guarded vocals settled the crowd in for the evening. Her quiet stage leadership was – and is – often overshadowed by Alana and Este’s outgoing personalities but we caught glimpses of an uninhibited Danielle during some jump-for-joy inspiring guitar ad libs and solos on a cover Fleetwood Mac’s “Oh Well.” Towards the middle of the set, “My Song 5” got every love-scorned person in the Fillmore to sing their broken hearts out to the chorus. Of all the songs in Haim’s catalog, “My Song 5” translated the best live with its gnarled guitars and Dash Hutton’s hard-hitting drum work. Though often overlooked, Haim would not be the same band without a drummer like Hutton. Between songs, a booming voice from the audience requested Wilson Pickett’s “Mustang Sally.” An intrigued Este toyed with the idea of playing it towards the end of the set, but only if the crowd was able to get her parents Donna and Moti on-stage. Sure enough, as Haim closed their set and reappeared for the encore to chants of “Donna and Moti,” their proud and slightly nervous parents appeared on-stage with Dad taking his position behind Hutton’s kit and Mom steadying herself behind Danielle’s mic stand. This impromptu performance made the sisters’ genetic propensity towards musicality crystal clear and solidified our understanding of who Haim is – a family band in the truest sense of the phrase. Haim’s tour continues well into the summer and the band will make a triumphant return to San Francisco at this year’s Outside Lands Festival. Check out a full gallery of the Haim sisters’ pre-Coachella performance HERE!